You can purchase your tickets below. We have full tickets and concession tickets for those that can not afford to pay the full price. There is no criteria for concession tickets except for need. 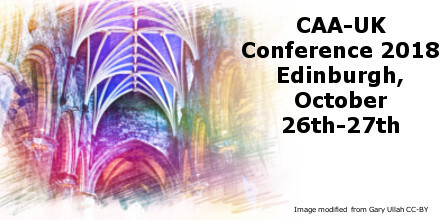 You can attend one day or both days of the conference and each ticket includes CAAUK membership. Donations help us support bursaries and travel for those who are having financial difficulties. Please consider donating when purchasing a ticket. You decide if you need concession tickets or not. If you can not afford any of the tickets please contact us at caaukedinburgh@gmail.com for a free one and/or help with travel. Thank you and we hope to see you in Edinburgh.